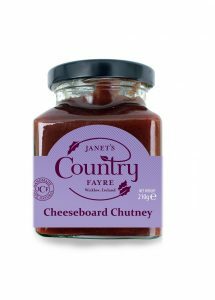 Look out for my delicious new Cheeseboard Chutney. It hits all the right notes and includes wonderful Irish ingredients as the perfect chutney to accompany your favourite Irish farmhouse cheeses. And of course to be enjoyed with Sheridans Cheesemongers Brown Bread crackers.